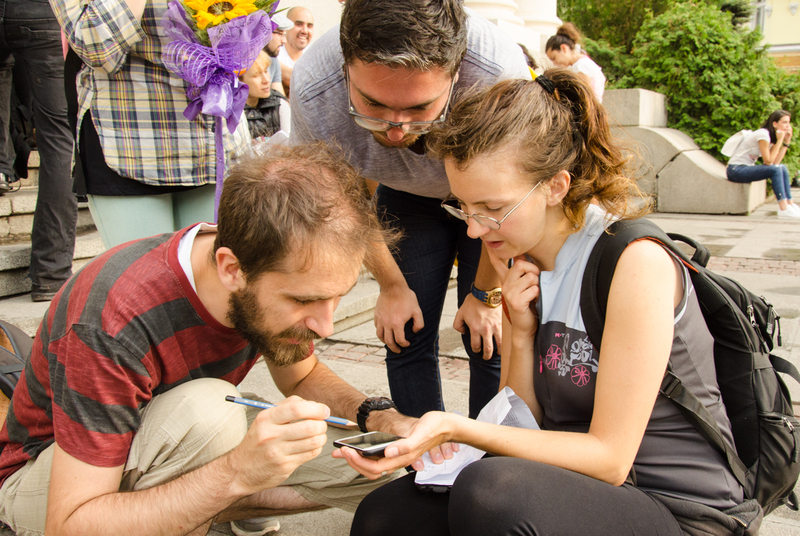 Inspired by the workshop #BeTheChange in Sofia, three of the participants, Evelina Milenova, Diana Mladenova and Kami Khalil, organized a Treasure Hunt in Sofia on 3 June 2018. 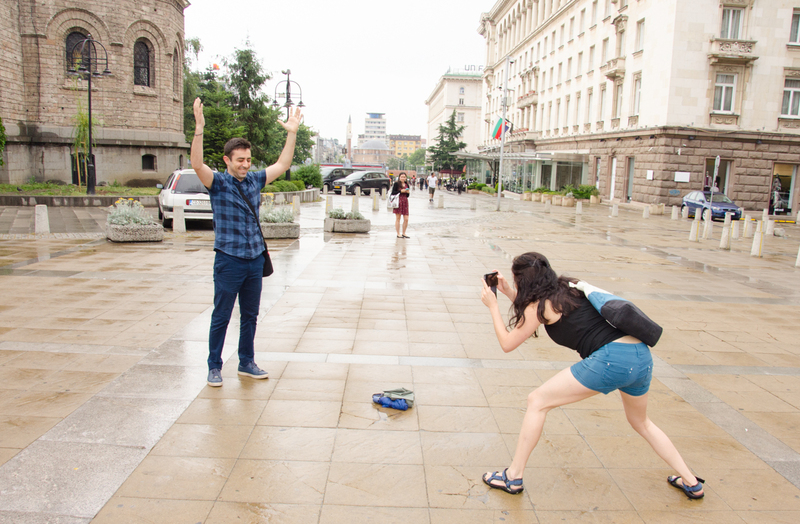 Its aim was to provoke foreigners and locals to get to know Sofia and Bulgarian history and culture better using fun interactive methods. 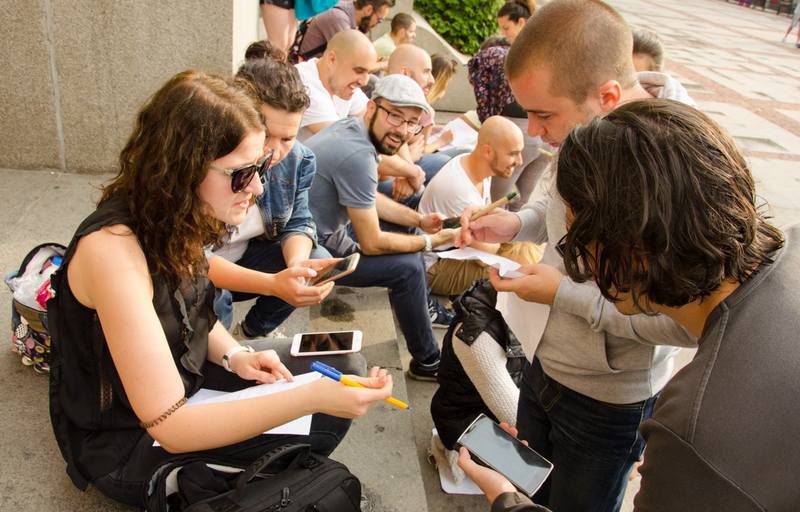 There were 20 participants who met in front of the National Theatre, then were split into teams and given instructions. They had 90 minutes to complete a list of tasks, each one bringing different points depending on its level of difficulty.